Due to the complexity of grape juice and yeast metabolism, it must be understood that a generalisation of the optimal concentration and composition of YAN cannot be made. Therefore, based on the trends currently observed in research, this article serves to present the winemaker with a set of guidelines rather than a list of instructions. Other than the pivotal role that it plays in the growth of the yeast and subsequently, fermentation to dryness, YAN has also been found to have a major impact on the sensory characteristics of the resulting wine – influencing the formation of various volatile compounds (1). These compounds include esters, fusel alcohols and volatile acids. Esters are most frequently associated with desirable floral and fruity aromas, whereas fusel alcohols and volatile acids have been correlated with undesirable aromas, such as solvent-like (fusel alcohols) and sweaty, cheesy and soapy (volatile acids) (2). Although fusel alcohols may contribute to the formation of undesirable aromas and generally, concentrations exceeding 400 mg/ℓ have been observed to degrade wine quality, studies have reported that concentrations of fusel alcohols below 300 mg/ℓ may in fact contribute positively to wine complexity (3). Fusel alcohols are a group of volatile compounds that are produced from branched-chain amino acids. At concentrations below 200 – 300 mg N/ℓ, a direct relationship has been observed between the total level of YAN and the production of fusel alcohols (4-8). On the other hand, concentrations above this threshold result in an inverse relationship – the higher the level of YAN, the less fusel alcohols are produced (4-8). The threshold for this relationship is, however, yeast strain dependent as the exact threshold value in the range of 200 – 300 mg N/ℓ will depend on the nitrogen demand of the particular strain used – the higher the nitrogen demand, the higher this threshold will be (6). When YAN concentrations are low, more nitrogen molecules are “broken off” from branched-chain amino acids to contribute to growth and subsequently, more fusel alcohols are produced. When YAN concentrations are high enough to support the growth of the particular strain used, less fusel alcohols are produced, resulting in an inverse relationship with the available YAN concentration. The composition of YAN, i e the concentration of FAN in comparison to ammonia, also influences the concentration of fusel alcohols that are formed. Given the same YAN level, but when the level of FAN is higher than the level of ammonia, more fusel alcohols are produced (8,9). In summary, an increase in the total concentration of YAN, above the threshold value (200 – 300 mg N/ℓ), can lead to a decrease in fusel alcohols, however, while below the threshold value, the addition of complex nutrients (i e FAN) can result in the increase of fusel alcohols which could help to increase wine complexity. Volatile acids can be divided into two groups: medium chain fatty acids (MCFA) and branched-chain acids. Studies have shown that increased YAN leads to a general decrease in the final concentration of branched-chain acids. A clear trend with regard to nitrogen supplementation and the final concentration of MCFAs could not be established. This is primarily due to the varying metabolic origins of MCFA, as well as the impact of the genetics of the yeast strain used (6). The consensus in literature is that an increase in YAN will result in an increase in the production of both acetate and ethyl esters (1,6-8,10,11). Thus, a nitrogen-supplemented fermentation, regardless of the type of nutrient addition (complex or DAP), is more likely to produce higher concentrations of floral and fruity aromas than a fermentation not supplemented. However, it has always been found that organic supplementation resulted in higher concentrations of these desirable aromas and the wines were consistently scored higher for floral and fruity characteristics (1,3,5-7,10,12). It must be noted that excessive nitrogen additions, leading to total YAN concentrations of more than 300 – 500 mg/ℓ N do not lead to a significant increase in the production of esters. Moreover, in some cases, ester levels have either been observed to plateau when total YAN concentrations exceeded 250 mg/ℓ or have been seen to decrease at YAN concentrations of 500 mg/ℓ or more (6). The increased production of esters in organic-supplemented fermentations is again due to the fact that amino acids are molecules that can be converted into esters through yeast metabolic activities. Furthermore, Saccharomyces cerevisiae has been observed to have an order of “preference” for different sources of nitrogen, in terms of growth, and will therefore use certain amino acids before others (13). This means that if more preferred amino acids are available for growth, i e simple, easily assimilated inorganic nitrogen, it will be used before other preferred sources, such as arginine and alanine. As a result, other groups of amino acids, such as those that can be converted into esters, will be used more readily. It must, however, be noted that, because of the complex roles that different sources of nitrogen play during fermentation, there may be slight differences between the exact concentrations and types of esters produced between different strains of Saccharomyces cerevisiae. The difference in ester production between strains becomes more pronounced when fermentations are supplemented with complex organic nutrients rather than inorganic nitrogen (14). This is due to two reasons. Firstly, “complex nutrients” contain an array of assimilable nitrogen sources (i e an array of amino acids) and secondly, amino acids are, by definition, a more complex source of nitrogen than inorganic nitrogen, which is deemed a “simple” molecule. As such, complex nutrients will result in a greater number of possible metabolic reactions by the yeast and therefore, the genetics of the yeast strain will determine which reactions will occur. Studies have found that these strain-specific differences may be reduced when total YAN concentrations were found to be moderate (between 200 – 250 mg/ℓ) (6). The importance of not only the total concentration of YAN available, but the composition of the YAN becomes apparent. Winemakers should take into consideration the total amount of nitrogen to ensure that enough is present to ferment to dryness and to ensure that a wine with enough desirable aromas can be produced. This value has been estimated to be between 200 – 300 mg/ℓ of nitrogen, depending on the strain of yeast used. Furthermore, this knowledge should be used to avoid over-supplementation as extremely high YAN concentrations (exceeding 500 mg/ℓ) could actually lead to a decrease in esters. Moreover, the money spent on expensive complex nutrients can be reduced when winemakers take into consideration that YAN levels above approximately 250 mg/ℓ have been found to have a negligible impact on the production of esters. 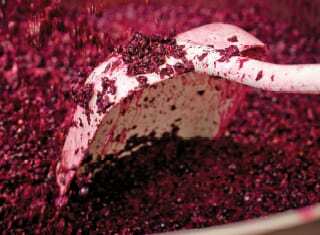 Knowing the composition of YAN present during fermentation will help make more informed decisions regarding the style of wine that a winemaker wishes to achieve – complex nutrients will always result in a more complex wine with increased concentrations of fruity esters compared to purely inorganic nitrogen supplementation. Although, if the goal for supplementation is to avoid stuck/sluggish fermentations and if the grape must is not perceived to be FAN deficient, the addition of inorganic nitrogen may be good enough to ensure fermentation to dryness, to ensure a sufficient increase in esters, and to avoid the possible over-production of unwanted fusel alcohols. The effect of nitrogen addition on the production of MCFA requires further investigation, however, the negative sensory impact of branched-chain acids can be reduced by increased YAN. Part 1 of this two-part series presented the results of a YAN survey of various cultivars and districts across the Western Cape. When faced with a grape-must containing a certain concentration and composition of YAN, what decisions can be made to ensure a successful fermentation and desirable sensory characteristics in the final product? Part 2 focuses on assisting winemakers to make more informed nutrient supplementation decisions. We reflect on the level, as well as composition of YAN in relation to the production of various aroma compounds. It must, however, be kept in mind, that these are only general trends that have been observed in research and that the strain of Saccharomyces cerevisiae used, the grape variety, as well as the initial concentration and composition of YAN, also play a role in how the nitrogen compounds are used by the yeast during fermentation and in aroma compound production. 1. Bell, S.J. & Henschke, P.A., 2005. 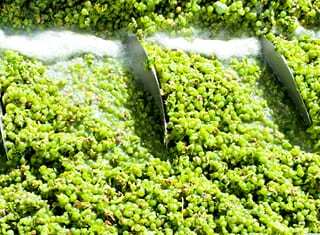 Implications of nitrogen nutrition for grapes, fermentation and wine. Australian Journal of Grape and Wine Research 11(3), 242 – 295. 2. Lambrechts, M.G. & Pretorius, I.S., 2000. Yeast and its importance to wine aroma – a review. South African Journal of Enology and Viticulture 21 (Special issue), 97 – 129. 3. Ugliano, M., Henschke, P.A., Herderich, M.J. & Pretorius, I.S., 2007. Nitrogen management is critical for wine flavour and style. Australian and New Zealand Wine Industry Journal 22(6), 24 – 30. 4. Carrau, F.M., Medina, K., Farina, L., Boido, E., Henschke, P.A. & Dellacassa, E., 2008. Production of fermentation aroma compounds by Saccharomyces cerevisiae wine yeasts: Effects of yeast assimilable nitrogen on two model strains. FEMS Yeast Research 8(7), 1196 – 1207. 5. Rapp, A. & Versini, G., 1991. Influence of nitrogen compounds in grapes on aroma compounds in wine. Proceedings of the International Symposium on Nitrogen in Grapes and Wine, 1659 – 1694. 6. Vilanova, M., Ugliano, M., Varela, C., Siebert, T., Pretorius, I.S. & Henschke, P.A., 2007. Assimilable nitrogen utilisation and production of volatile and non-volatile compounds in chemically defined medium by Saccharomyces cerevisiae wine yeasts. Applied Microbiology and Biotechnology 77(1), 145 – 157. 7. Vilanova, M., Siebert, T.E., Varela, C., Pretorius, I.S. & Henschke, P.A., 2012. 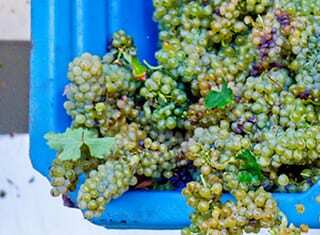 Effect of ammonium nitrogen supplementation of grape juice on wine volatiles and non-volatiles composition of the aromatic grape variety Albarino. Food Chemistry 133(1), 124 – 131. 8. Torrea, D., Varela, C., Ugliano, M., Ancin-Azpilicueta, C., Leigh Francis, I. & Henschke, P.A., 2011. Comparison of inorganic and organic nitrogen supplementation of grape juice. Effect on volatile composition and aroma profile of a Chardonnay wine fermented with Saccharomyces cerevisiae yeast. Food Chemistry 127(3), 1072 – 1083. 9. Hernandez-Orte, P., Ibarz, M.J., Cacho, J. & Ferreira, V, 2005. Effect of the addition of ammonium and amino acids to musts of Airen variety on aromatic composition and sensory properties of the obtained wine. Food Chemistry 89(2), 163 – 174. 10. Ugliano, M., Travis, B., Francis, I.L. & Henschke, P.A., 2010. Volatile composition and sensory properties of Shiraz wines as affected by nitrogen supplementation and yeast species: Rationalizing nitrogen modulation of wine aroma. Journal of Agricultural and Food Chemistry 58(23), 12417 – 12425. 11. Ugliano, M., Siebert, T., Mercurio, M., Capone, D. & Henschke, P.A., 2008. 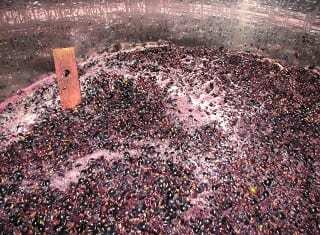 Volatile and color composition of young and model-aged Shiraz wines as affected by diammonium phosphate supplementation before alcoholic fermentation. Journal of Agricultural and Food Chemistry 56(19), 9175 – 9182. 12. Barbosa, C., Falco, V., Mendes-Faia, A. & Mendes-Ferreira, A, 2009. Nitrogen addition influences formation of aroma compounds, volatile acidity and ethanol in nitrogen deficient media fermented by Saccharomyces cerevisiae wine strains. Journal of Bioscience and Bioengineering 108(2), 99 – 104. 13. Cooper, T.G., 1982. The molecular biology of the yeast Saccharomyces. In: Metabolism and gene expression, Strathern, J.N., J. E. & B.J. (Ed.). Cold Spring Harbor Laboratory Press, pp 39 – 99. 14. Barbosa, C., Mendes-Faia, A. & Mendes-Ferreira, A., 2012. The nitrogen source impacts major volatile compounds released by Saccharomyces cerevisiae during alcoholic fermentation. International Journal of Food Microbiology 160(2), 87 – 93.